Woodwork Made Magnificent with Talent & a Touch of Technology. 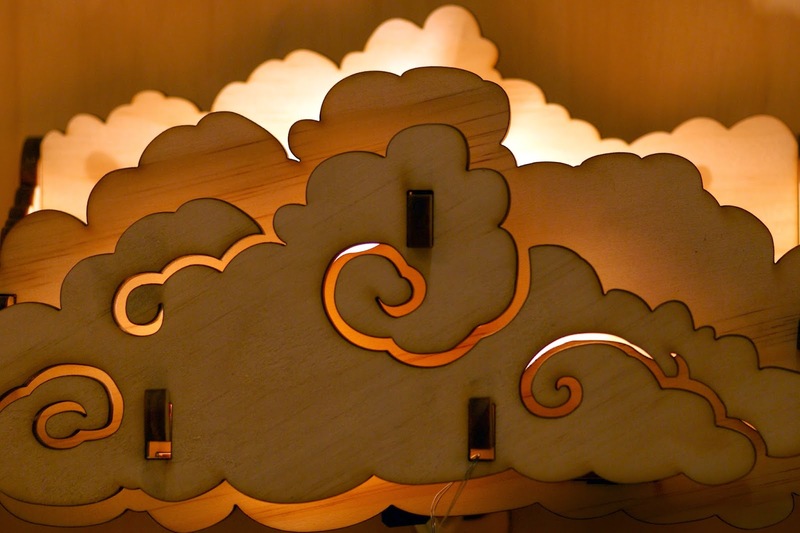 Lanterns & Lamps with Intricate Designs to "Enlighten" any Room. Light is often used as a symbol of knowledge and discovery. Curiosity and an adventuresome spirit can help you find new wisdom that brightens your life. These qualities can also lead you to discover "enlightening" artwork like that of Curious Customs. 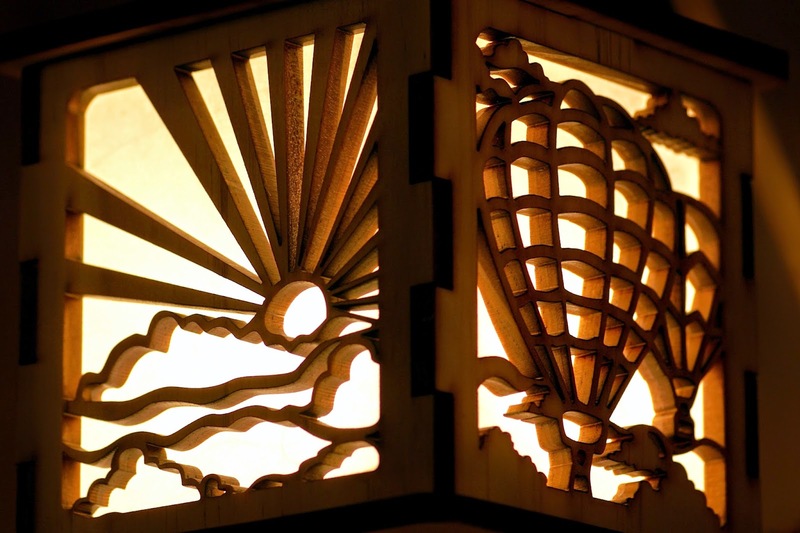 The specialty of this Austin based craft company is laser cut wood fashioned into lamps and other light fixtures. It sounds simple, but there is so much depth to be seen looking into the light of these artists. 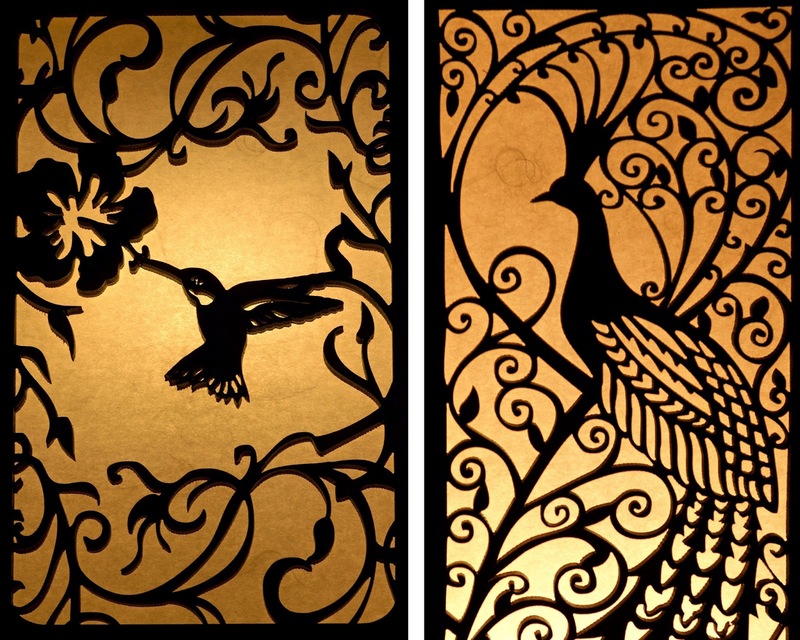 Consider the juxtaposition of natural elements like wood cut with a computer-guided laser to create intricate and inspired designs. The motifs featured span a wide range of cultures and countries. My personal favorites are geometric, based on Moorish and Arabic heritage, but those stemming from Asian and African traditions are equally beautiful. You'll also see a few patterns drawn from natural elements like majestic flora and fauna. Of course, the few whimsical pieces with childhood nostalgia will brighten your day too! The masterminds behind these light fixtures are three very talented, eco-conscious crafters that are dedicated to more than just fabulous functional artwork. All of their pieces make use of recycled materials, and much of their proceeds go to supporting aspiring individuals across the globe. 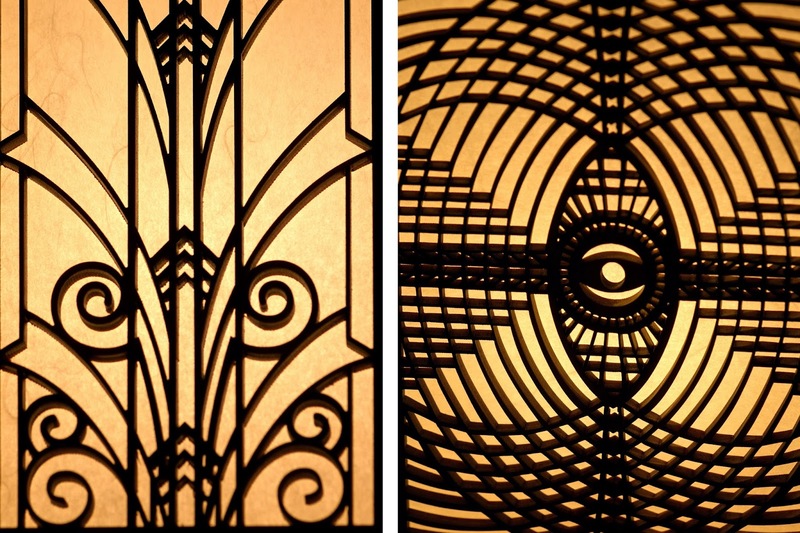 They've seen the light, and we're lucky that they share it with us through their pieces, and not just in the way that the light shines out of the detailed laser cut patterns, perfect and one of a kind!